Buoyancy: The water supports your weight, therefore there is less strain put on the joints. This can also aid in the development of balance and strength. Perfect for the heavier linemen on a team. Heart health: You can maintain your level of cardiovascular fitness during injury (if not improve it), when moving through the water. The hydrostatic pressure of the water against the chest wall resists the muscles expanding the chest during breathing. 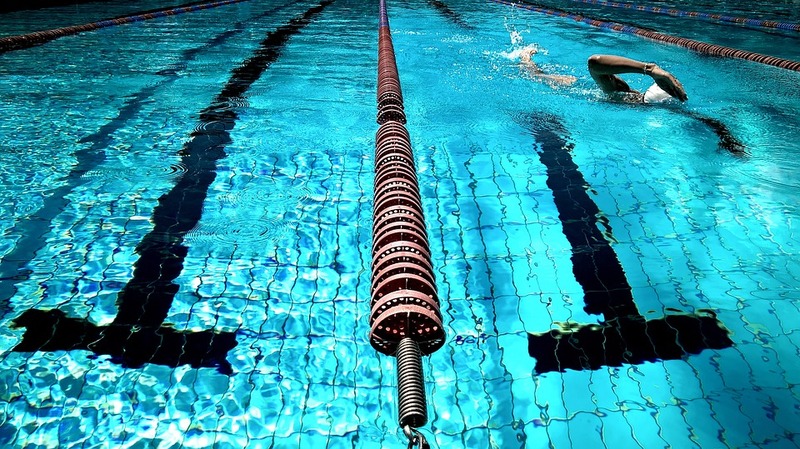 Therefore regular exercise within the water strengthens these muscles, allowing them to expand more efficiently, enabling a greater volume intake of air when performing on the field or within the gym. Strength gains: Water provides resistance through gentle friction provided by the water, therefore strengthening the skeletal muscle. Holding onto the pool edge and swinging your leg forward and back is one example of this. Joint range of motion and endurance can be increased without joint pain & strenuous activity due to the buoyancy of the water. Heavier limbs, such as the legs will be easier to lift and hold. Reduced swelling: Hydrostatic pressure of the water acts as a compression support, encouraging lymphatic drainage from swollen joints and limbs, perfect for post-game recovery! Eased pain: The warmth and sound of the water can help to relax an individual, decreasing the level of pain. Exercises can be performed within the pool prior to on-land: This is beneficial for the individual recovering from injury when performing an exercise out of the pool would be too strenuous, such as running due to a sprain/strain. When is Hydro therapy not appropriate?